Hola amigo, te saludo desde chile!! !, si de tán lejos y soy un entusiasta novato!! !, y me hice de este akai as-980 y como lo disfruto !! !, le conecto mí pc con musica flac, luego un mini dac y al auxiliar y sas escucho a los angeles, es un deleite oir a queen o pink floid etc… tambien lo conecto a una tornameza marantz 6300 y una reel b70 , también curiosamente tengo la pioneer qx- 949 , un technics sa 8100x y un sansui 919, pero me quedo con akai, un abrazo a la distancia. Bienvenido amigo y me alegra saber de ti todo el camino en Chile! He utilizado traductor Google, así que espero que esto tiene sentido! Esta Akai es ciertamente especial y sin duda su reproducción de la música derecho sobre él Su otro engranaje suena excelente, así yo era sólo el otro día admirando un Marantz 6300 Turntable y contemplando conseguir uno. Thanks! Yes this AKAI is loaded with all of the Quad formats including SQ. 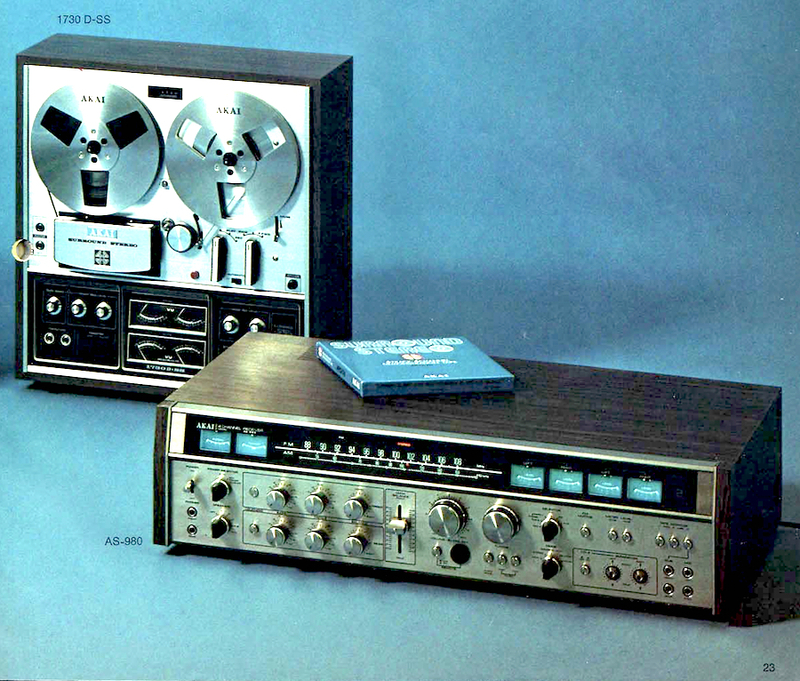 I am a big fan of Sansui – particularly their early 70s gear. I personally haven’t listened to the Sansui QRX-9001 which is a late 70s piece with much more horsepower while this Akai is from the early 70s, more akin to Sansui’s QR-6500 – which is a beautiful receiver with huge proportions. I owned one of these shortly after they came out. I enjoyed it for many years until the preamps finally died. All attempts to get it repaired were met with disdain. I finally gave it to a navy electronics office to do what they could or toss it. 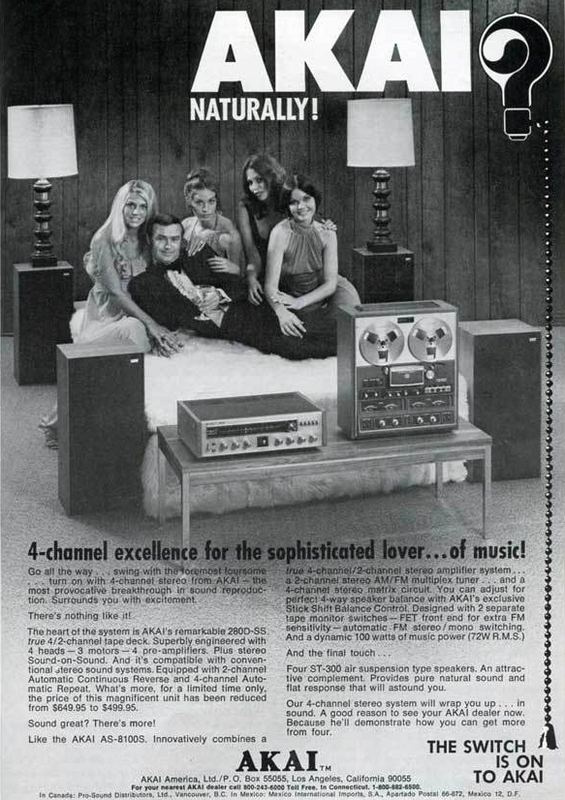 During the time I had it, it provided very good listening pleasure from all sources. 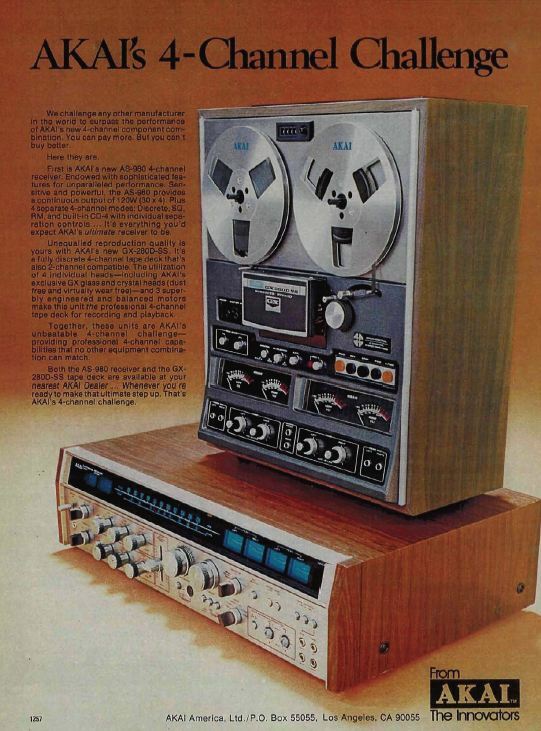 I also had several four channel pieces of equipment that complemented the amplifier, including 4-channel eight track, 4-channel turn table and 4-channel cassette player. All since lost in Hurricane Katrina. I would love to have the amp again, but at $4400, there is no way I could afford it, I only paid $400 originally. For instance the $400.00 you spent back in the mid-seventies would have the purchasing power of roughly $2,150.00 USD today! I inherited a Akai AS-980, new in box with manual. Any idea of it’s value, or what someone would be willing to pay? *AHEM* *Cough* IMPORTANT! All information is provided purely for entertainment purposes only and should not be construed as legal or professional valuation advice or even as sensical in any way! Please consider seeking professional advice before acting. If you mean this is sealed, unopened, brand new in its original box then the value would be much greater. I am assuming here that you mean the item was opened, used but is in mint condition in its original box. I also assumed that it is in good working order. That’s always a tough question. 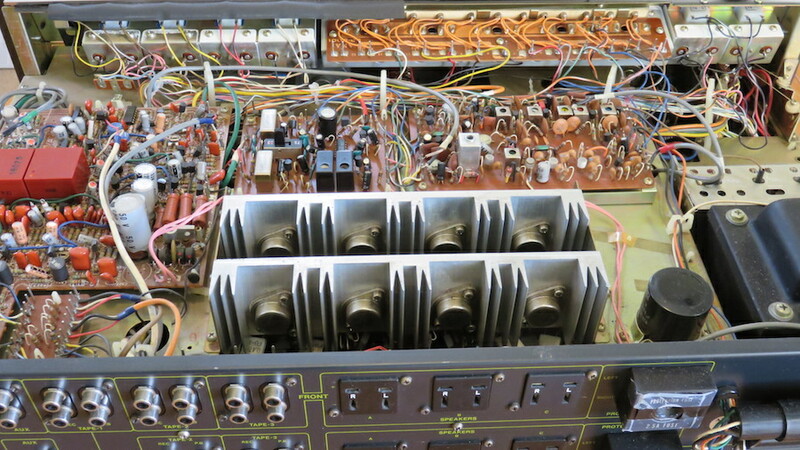 While there is growing demand coming from yuppies and hipsters for high end vintage audio it’s still somewhat of a niche market, so how much you could get for it is also determined by how willing you are to wait for the right buyer to turn up. A quick sale will usually mean you didn’t ask for enough money! The fact your have the original packaging and the item is in new condition does go a long way to improving its value, it IS an extremely rare find!!! 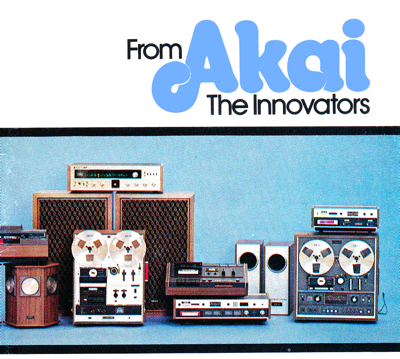 There are currently NO Akai AS-980’s for sale on eBay (let alone one that’s mint in it’s box) so consider yourself as having a Monopoly! If it was mine I would take some nice pictures, write a good but brief blurb and put it on eBay for around >$2000 and stick to my guns, be prepared to wait, and ignore the odd comment from the peanut gallery telling you that it’s over priced! What are they going to do? Go down the street to get it cheaper at Walmart???? But if you want a quick sale you can always ask for less. Here is one I found they are asking 1200 Euros (~$1,359.06USD) no box and the condition is average I think – most of the case is not shown. 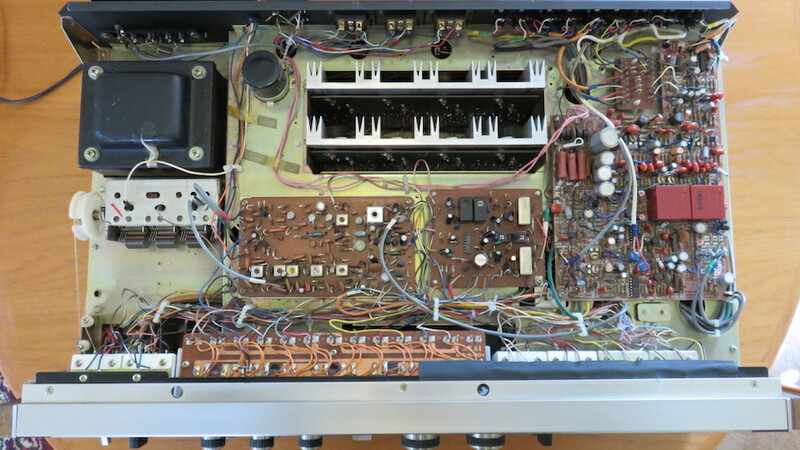 FYI Currently the most expensive vintage Receiver on eBay is asking for $7500.00USD for a Technics SA-1000A and at my last look it had 60 watchers! 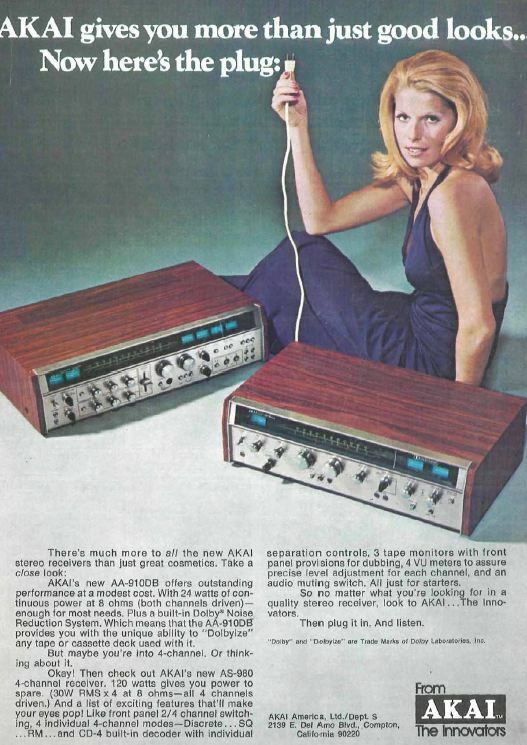 Hi there, thanks for this homage to the greatest AS-980 Quadraphonic from Akai. I live in Asuncion, Paraguay, got my unit used in the mid 80’s. I only have a pair of the original Akai speakers. I kept hidden inside a deposit full of vintage pro equipment and musical instruments. A month ago I decide to test + clean, everything works, sounds amazing with a turntable..real analog nostalgic sound….just love it, so proud to still keep it fully functioning. I have one of the AKAI Quadraphonic receivers and the speakers, including the hexagonal ones pictured in the top photo.